WOW!! BEAUTIFUL LIKE NEW ONE OWNER F150 WITH A CLEAN CARFAX, THIS CREW CAB 4X4 HAS ALL YOU COULD WANT! HAS THE 3.5L ECOBOOST V-6, TWIN PANEL POWER MOON ROOF, HEATED SEATS, DUAL POWER SEATS, REMOTE START, REAR CAMERA, TAILGATE STEP, LED BED LIGHTING, TRAILER BRAKE CONTROLLER, TRAILER TOW PACKAGE, 20" PVD WHEELS... VERY NICE TRUCK THAT WILL PUT A SMILE ON YOUR FACE! COME CHECK IT OUT TODAY!! 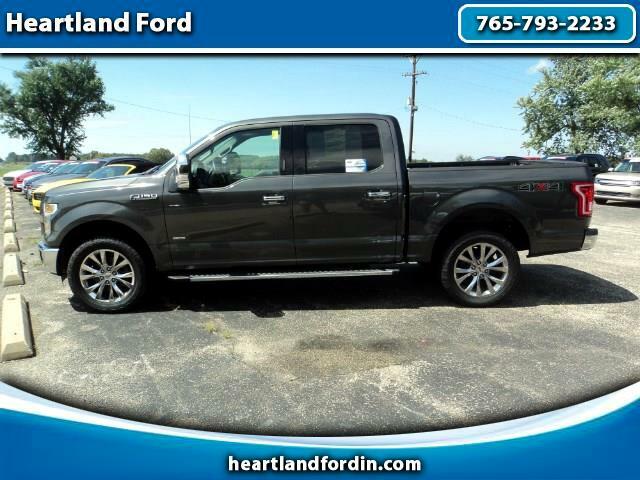 Visit Heartland Ford online at www.heartlandfordin.com to see more pictures of this vehicle or call us at 765-793-2233 today to schedule your test drive.